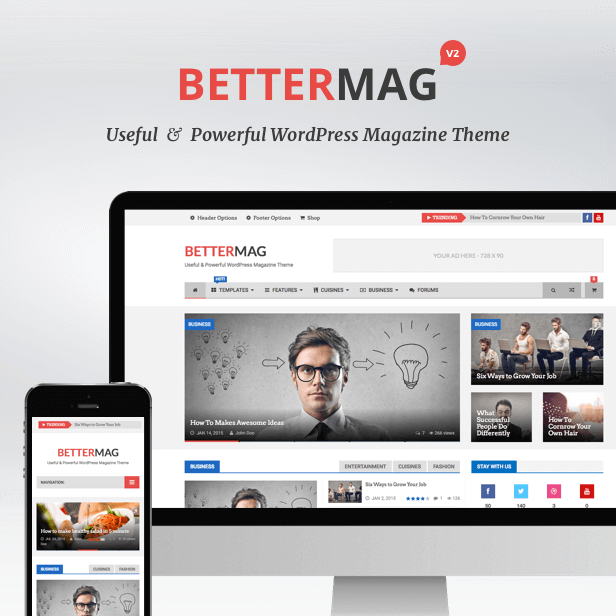 https://1.envato.market/c/1307448/275988/4415?u= BetterMag is the useful and powerful WordPress magazine theme with great attention to details, incredible features, an intuitive user interface and everything else you need to create outstanding websites. 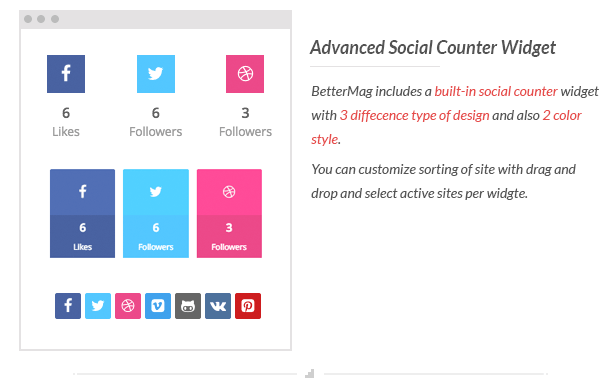 It does not matter if you want to create news website, online magazine or personal blog, BetterMag offers limitless customization options, layouts and headers with an easy to use Admin Panel. 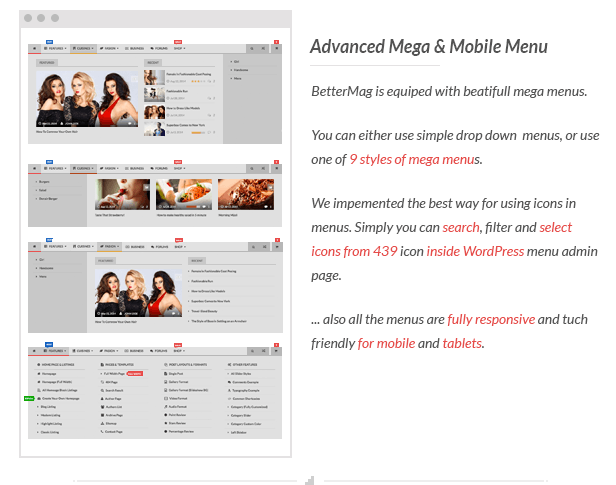 BetterMag is the perfect combination of a beautiful and professional design with tons of powerful features and a bulletproof code base. Most Useful & Powerful WordPress Magazine, News, Blog and Shop Theme. Clean and Modern design with mutliple style and skin in one theme. Fully Responsive design: All elements are responsive. 11 Style: Two advanced style with 11 skin included by default. Advanced SEO Optimized: Rich snippets for breadcrumbs ,reviews and others are built-in. Further SEO enhancements available using WordPress SEO by Yoast. Also BetterMag includes 44 Custom add for creating advanced magazine layouts. WooCommerce Fully Integrated: Create an Amazing Shop using the industry standard eCommerce platform for WordPress. Also there is unique features for customizing shop style. bbPress & BuddyPress Fully Integrated: Get a beautiful Forum running on your newspaper, blog or magazine site. Retina Ready (HD): All the theme graphics scale beautifully on hi-def screens. Set a category color that will be used in menu and category labels and review bars. Set a background image and color to be used on a specific category (for boxed layout). Use any of the 4 Listing Styles. Modern, Blog, Highlight or Classic. Use any of the 3 Page Layout Styles. Full Width, Boxed, or Padded Boxed. Enable a featured slider to be shown for a specific category. Enable the right or left sidebar or select full-width layout. Addvanced Slider Options BetterMag ships with 10 slider style that can be customized for Home Page, Categories, Tags and pages. GUI Shortcode Generator: all the commonly used shortcodes available via a visual interface. Tons of Useful Shortcodes: tabs, accordions, typography, dropcaps, buttons, columns, lists, and many more layout related shortcodes. Ads Support: easily add ads in header, in between blocks on homepage (using page-builder) and in Sidebar and Footer with 2 Image and Code ad widgets that included in theme. Responsive Google Adsense is supported using the default Google Adsense smart sizing code without any modifications. Advanced typography options: 600+ Google Fonts to select from them and also options for changing Text Align, Line Height, Font Style, Font Size, Subsets and Color. Sticky Navigation menu with option to Enable/disable . Display the Review Box within the post content via [review] shortcode . Child Theme Compatible – BetterMag is child theme compatible, with child themes available upon your purchase of the theme to make customization easy and painless. - Added: New responsive fields added to all widgets to Hide/Show theme inside difference devices. - Improved: New sticky sidebar improvement to better design when sticky menu is active. - Fixed: Tabbed Widget and Posts Widget read more link bug fixed. - Fixed: prettyPhoto XSS security bug fixed. - Added: Advanced options added to add post, tag and category metaboxes to other custom post types and taxonomies. - Improved: Admin usability improved. - Fixed: H1 bug in home page fixed. - Fixed: Tabbed Widget warning fixed. 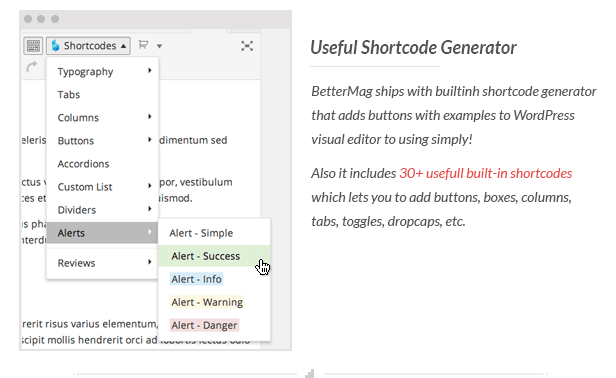 - Plugin Updated: BetterStudio Shortcodes updated. - Added: Custom post support added to all sliders: Home, Category, Tag, Page, Post and User slider. - Fixed: Main category CSS class error was fixed for all blocks. - Fixed: Breadcrumb color issue fixed. - Improved: Admin style improved. - Added: Option to show post categories in breadcrumb. - Added: French translation added. - Added: Spanish - Mexico translation added. - Improved: code fields in theme panel usability improved in RTL style admin. - Fix: Order posts by view fixed in “posts Listing”, “Posts Slider” and “Tabbed Widget”. - Fix: Image link URL fixed in “User Listing 2”. - Fix: JS fix for element query added. - Fix: Better Rebuild Thumbnail fixed and works properly now. - Fix: Theme translation select field fixed. - Updated: Better Facebook Comments plugin updated to v1.1. - Added: Adjust language added to change comments language. We worked 5+ month on this update to make better functionality and user experience. admin UI to consistence user experience. We developed and added 9 unique plugin to add custom functionality with enabling them if needed. This plugins enable you to manage and add advertisements with powerful options. Posts review functionality moved to separate plugin that you can disable it if didn't need it! You can save posts views and show them with this plugin. Replace the default WordPress search engine with search powered by Google. Take advantage of integrating Disqus comments on your website. Take advantage of integrating Facebook comments on your website. Make sidebars permanently visible while scrolling. Replace the default theme 404 page with customized page. Slider Revolution is an All-purpose Slide Displaying Solution that allows for showing almost any kind of content with highly customizable, transitions, effects and custom animations. - Added: Translation panel added to translate theme in minutes! - Added: French, Spanish, Greek, Persian and Hebrew translation added. - Added: Full Rich Snippet support added for better SEO. - Added: Font Manager added to upload and use unlimited custom fonts inside theme + some other advanced options. - Added: WPML Support added. - Added: Built in demo content importer added. - Added: Site width option added for customizing theme with px or percent. - Added: Site columns width options added also + custom with in tablet. - Added: Better Studio Rebuild Thumbnails added to rebuild thumbnail images without separate plugin. - Added: Menu options UI change for better usability. 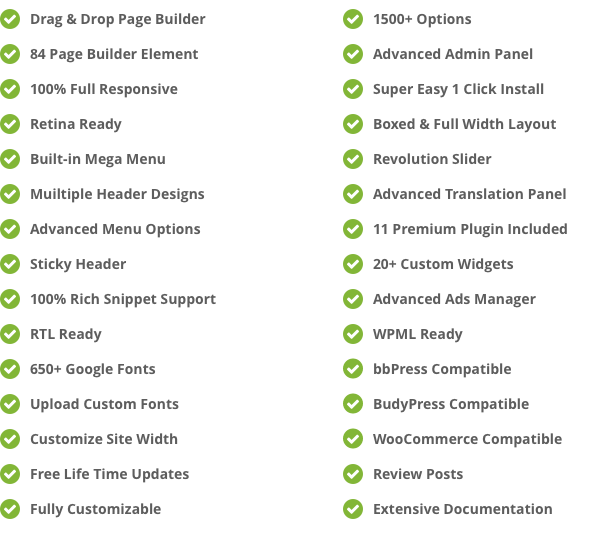 - Added: Mega menu category field added to support mega menu for pages, custom links and everything!. - Added: Background Image, Background Color, Min Height & Padding fields added to sub menu and mega menus. - Added: Display Featured Image/Video option added to option panel. - Added: Slider top and bottom padding added to option panel and posts metabox. - Added: Footer padding added to option panel. - Added: Custom CSS class added to pages, posts, categories, tags, authors and option panel + Advanced responsive CSS. - Added: Custom CSS code added to pages, posts, categories, tags, authors and option panel + Advanced responsive CSS. - Added: 35+ new options added to author profile. - Added: Options to change search page listing, sidebar, main navigation and posts count added to search page. - Added: Option for adding share box to pages added. - Added: Avatar field added to users profile. - Added: Bio field added to select biography length ( full or excerpt ) in User Listing 1 and 2. - Added: RSS link option added to alongside title for categories and tags ( general option + single option for overriding in each term ). - Added: Options added to change slider animation and speed. - Added: Large menu style added. - Added: Center Large menu style added. - Added: Center align menu style added. - Added: Menu style and layout added to: Tag, Cat, Post, Page and Author. - Added: Breadcrumb center style added. - Added: Breadcrumb style added to Tag, Cat, Post, Page and Authors. - Added: Bottom description field added to categories and tags..
- Added: Top and bottom padding options for Large Footer and Lower Footer added to option panel. - Added: Option to posts count in category archive added. - Added: Option to posts count in author archive added. - Added: Custom logo option for category and tags added. - Added: Custom category title option added for categories and tags. - Added: All widgets general fields moved inside "Advanced Options" for better management. - Added: Widget Title field added to adding custom icon behind widget title in al widgets. - Added: Primary category added for posts. - Added: Option for changing main navigation in posts and pages. - Added: Options to display and change position of comments added to posts and option panel. - Added: Remove comment form url field  option added. - Added: Options for adding note before and after comments form added. - Added: Option for disable emphasize first paragraph added. - Added: Share box options added to posts metabox. - Added: Related posts options added to posts metabox. - Added: Next and Previous posts options added to posts metabox. - Added: Display author box options added to posts metabox. - Added: Display post category added to posts metabox. - Added: Display post tags added to posts metabox. - Added: Top, right, bottom and left padding options added to posts meta box. - Added: Display topbar added to posts metabox. - Added: Display header added to posts metabox. - Added: Header top and bottom padding added to posts meta box and option panel. - Added: Slider options added to posts meta box. - Added: Admin RTL style added. - Added: Dribbble widget added. - Added: Google+ widget added. - Added: Posts Slider widget added. - Added: Login register tabbed widget added. - Added: Video Widget added. - Feature: Options to show banners in devices. - Feature: Change WordPress search with Google Custom Search without change any code. - Improved: RTL style improved. - Improved: [bm-block-title] shortcode supports content now! [bm-block-title]Its a content![/bm-block-title]. - Fix: Author bio title color was fixed. 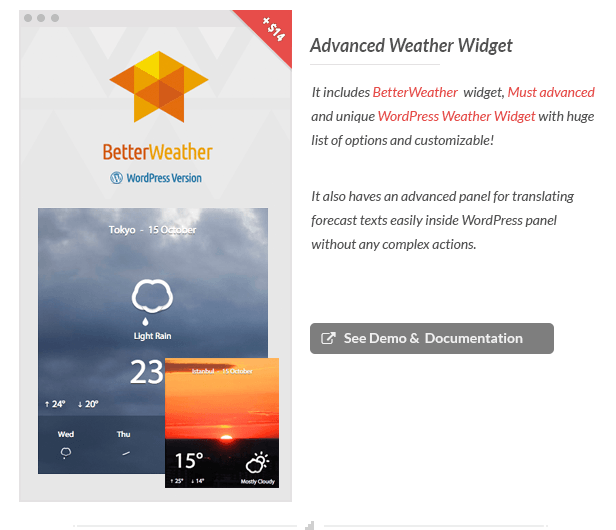 - Plugin Update: BetterWeather plugin updated. 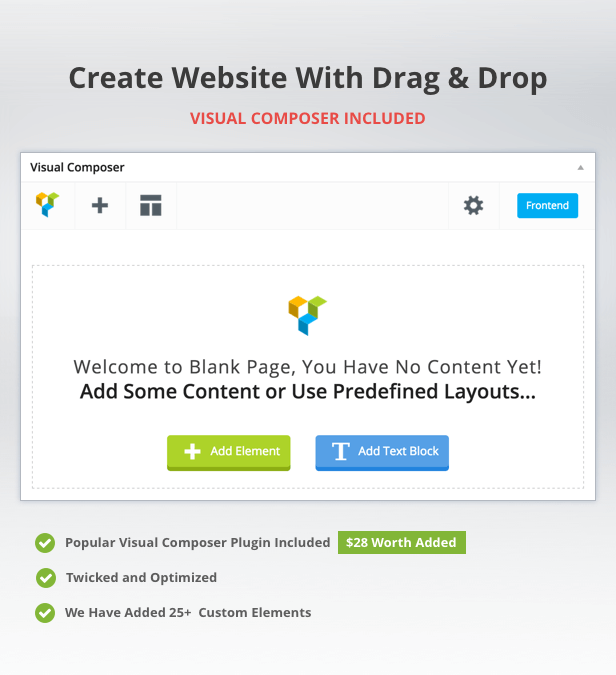 - Plugin Update: Visual Composer plugin updated. - Removed: Clean & Clean Beige style removed.